1- Find The Best Local Offers. 3- Close The Deal To Earn Instant Cashback! anywhere you see this label, or transfer to any member at once. No fees. Win $25.00 in 2500 DealCoins Instantly. Want more? Download and use the menu to Share CloseDeal App. Earn $10.00 in 1000 DealCoins per each new sign up that you refer. See » Terms of Service « "DealCoins Conversions". Images may not display current promotion values. Spend Your Money Within Your Local Community! 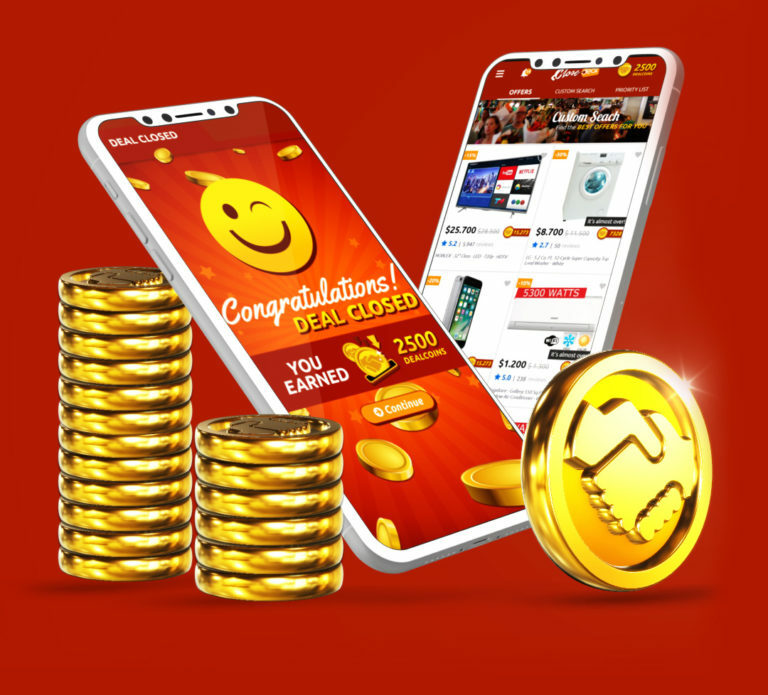 DealCoin is the CloseDeal International Currency. CloseDeal, coming soon near you. 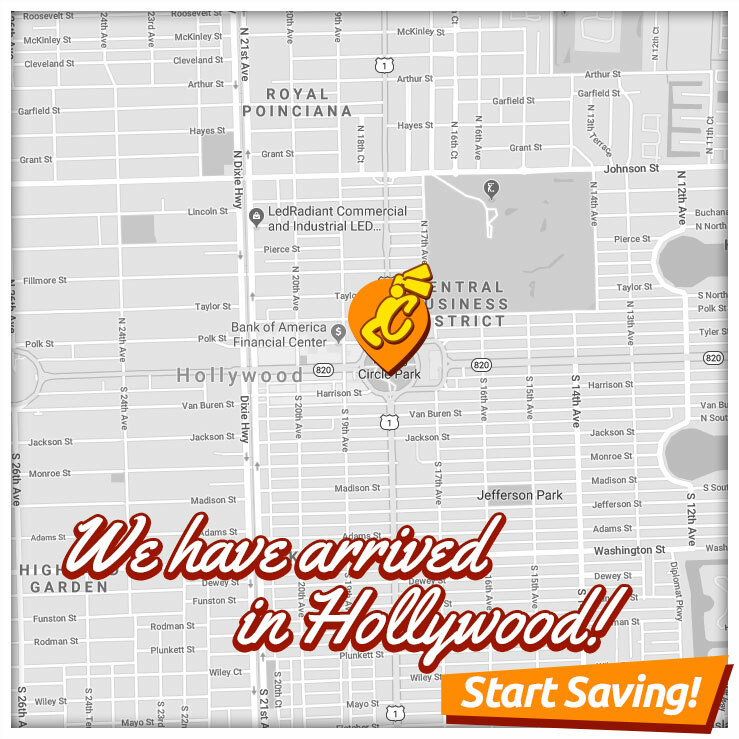 The Best Offers On Deals Near You! 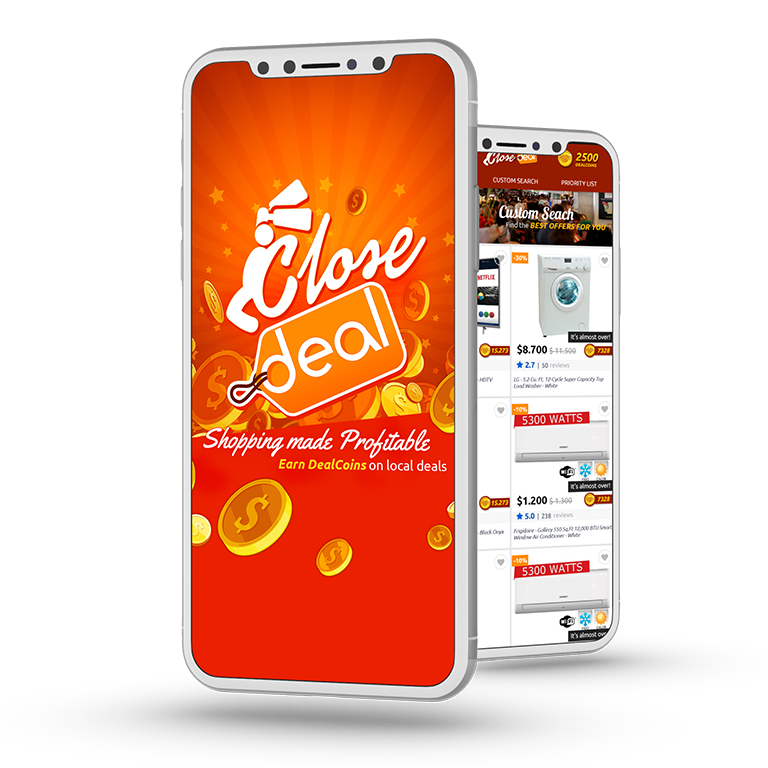 CloseDeal Is Your Hub For An Easy And Profitable Shopping Experience. Wether you're just browsing or actively looking for something you need, CloseDeal finds you the best price offered by businesses near you. 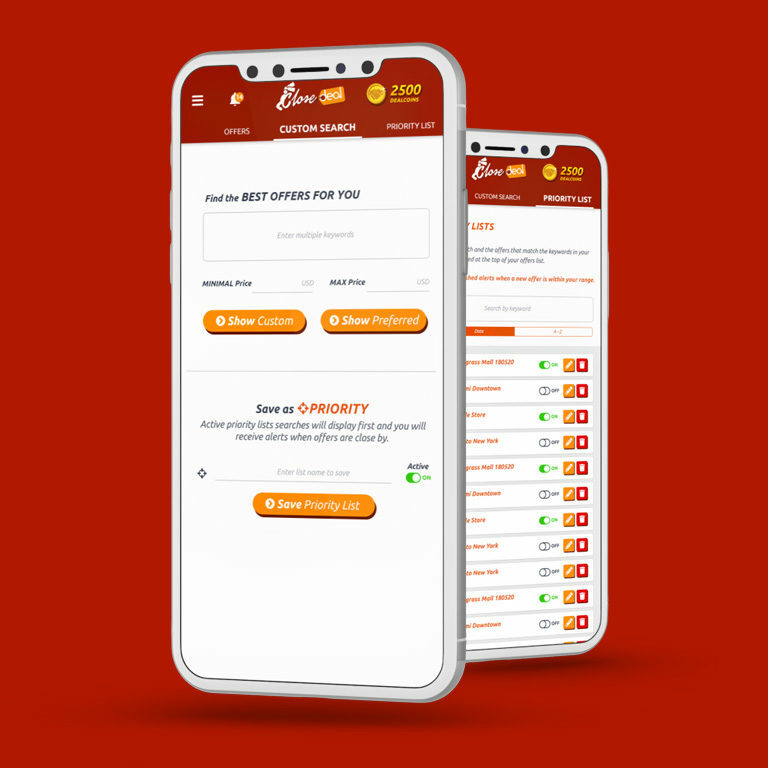 Ensure you will get what you want by reserving or buying the offer through the app and picking up your purchase later. Earn DealCoins when you complete the purchase. 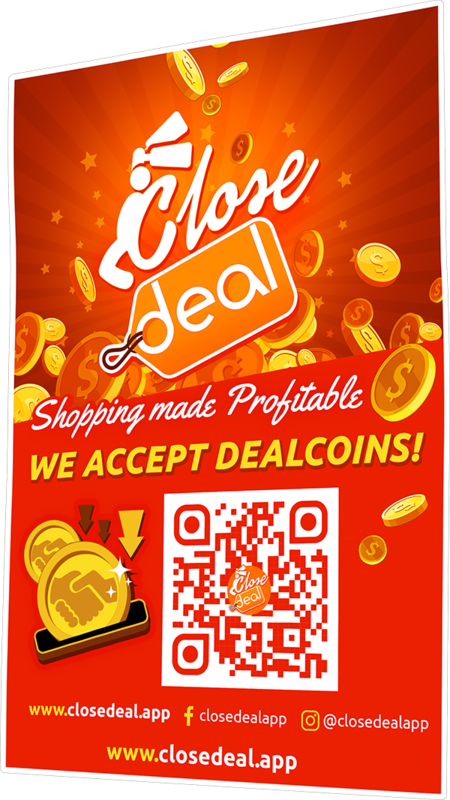 Unlike other loyalty programs, CloseDeal lets you spend DealCoins you earned from one business at any merchant across the CLOSEDEAL NETWORK! Earn Bonus Coupons from businesses where you buy regularly. 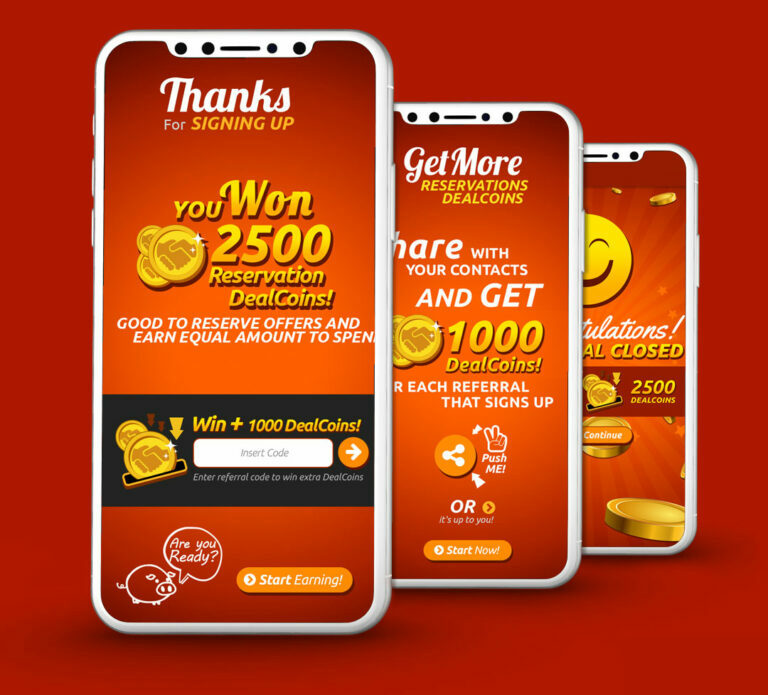 Share offers with your friends and earn DealCoins when they close the deal with the business. FREE UP SPACE ON YOUR PHONE AND SAVE PRECIOUS TIME SPENT ON SHOPPING! 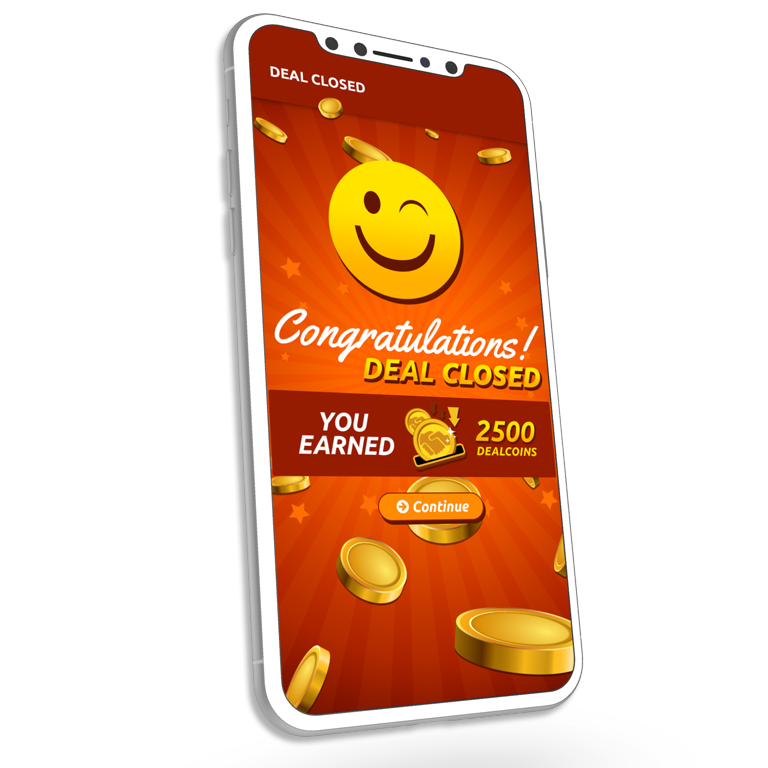 CloseDeal replaces all those loyalty program apps crowding your phone and makes it easy to find the deals you need. READY TO SELL MORE AND SPEND LESS? Send us an email. Your feedback is very much appreciated. 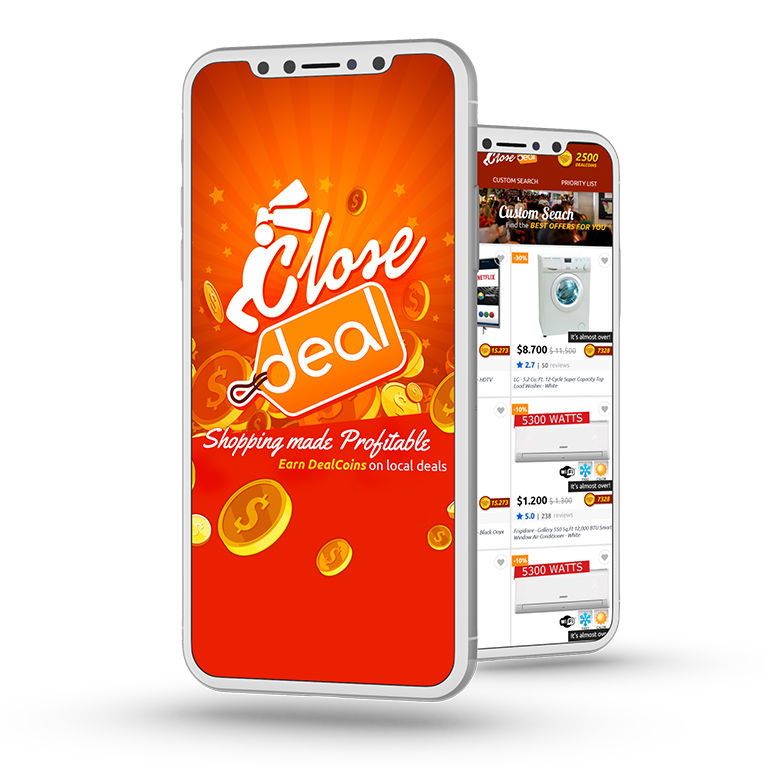 2019 © closedeal.app Crafted with love by SiteOrigin.